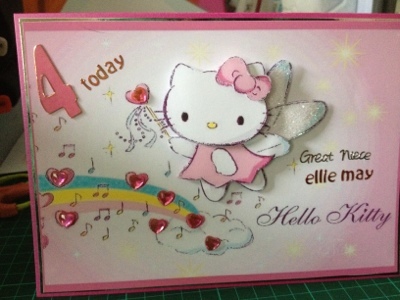 I have made this card for my great niece who is 4 years old. The image of Hello Kitty is decoupaged. The wings are glittered and I put on heart gem stones. My great Niece is Hello Kitty mad so I had to make it for her.